NAZARETH, (PIC)– Israeli President Shimon Peres said Monday that Palestinian Authority President Mahmoud Abbas was the best Palestinian leader Israel could work with in the peace process. “I call on my friend, Palestinian President Mahmoud Abbas, who I respect and acknowledge as the best leader Israel will work with, to return to the negotiating table,” Peres said at a Rosh Hashanah ceremony attended by foreign diplomats. 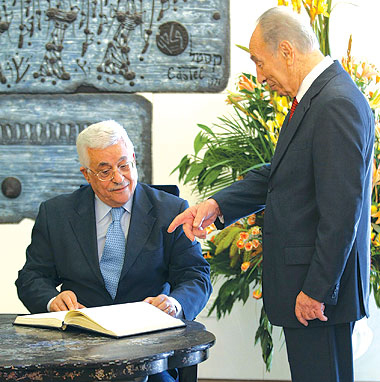 Peres also said that negotiations should be held by parties privately at first, explaining that the talks that led to the Oslo Accords were held for four months without media coverage. He said he believed the deal would never have been clinched were the media to get involved.